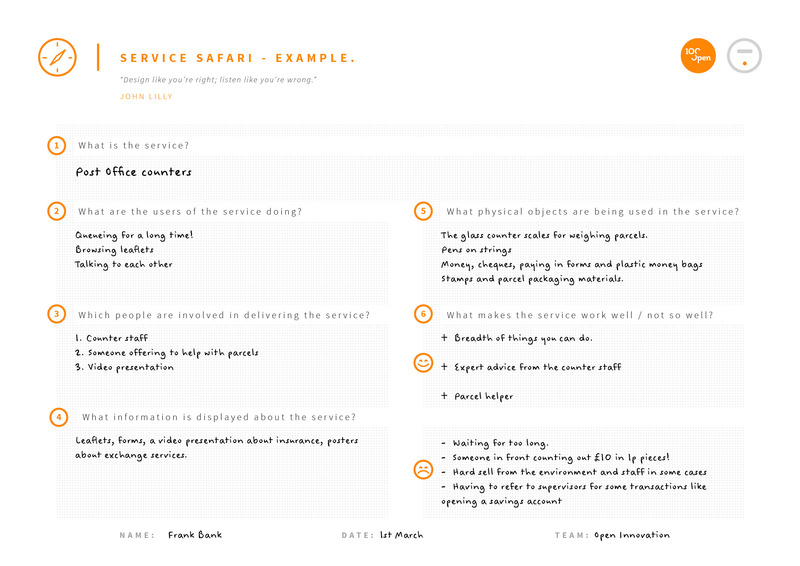 Service Safari is an exercise that enables us to understand how services work and to diagnose how they can be improved. By going out, visiting and using a service we can draw structured conclusions that help us create an effective service innovation. "Design like you’re right; listen like you’re wrong." We need to prepare before the workshop by scouting suitable local services. 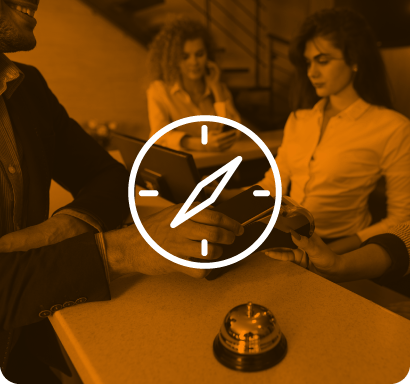 Choose three or four different services unless we are targeting one particular type of service. For example there may be a local bike hire scheme or a specialist retail outlet to try. Or a bank, bus service or party planning agency to investigate. Then we prepare envelopes with the different Service Safari missions and hand them out to workshop delegates along with the Service Safari tool for making notes and structuring their observations. Small teams of 2-4 people then go off and experience their service, noting their experiences and taking photos or recordings as appropriate. An hour is usually sufficient for the fieldwork. When our explorers return they can then compare notes with other teams and draw conclusions that help the innovation process. Use Service Safari in a Prototyping Jam to learn how to analyse a service, or as a warm-up before creating a Service Blueprint.